One more post about using Section 179 to sell more. You can read part one here, and part two here. These strategies are a little more advanced than what I talked about earlier (which boiled down to more or less “talk about it more / get it on your website and marketing collateral”). The following three strategies are for companies that really want to sink their teeth into Section 179 and use it to help close more sales. Go ahead and search online for Section 179 calculators – you’ll get good ones right away. When you are sitting down with your prospects, use these online calculators to show your prospect, right there in black and white, how much they can save on their taxes. This has a very positive effect on buyers, especially if you have creative salespeople who can utilize this savings into a “true cost of the equipment” close. Take the preceding one step further and make a “Section 179 Savings Worksheet” for your salespeople to use. Use the above-mentioned calculators yourself, and figure out the Section 179 savings (most calculators will assume a 35% tax rate.) Then get your marketing/graphics team to make a nice worksheet that takes clients step by step through the price, how much tax they can save, and subtract the savings from your product’s cost, arriving at (again) the true cost of ownership. Since many businesspeople are not aware of Section 179, seeing this right in front of them is powerful. You can do the same thing for web shoppers. Along with the Section 179 banner I mentioned in my last post, you can show the tax savings right on your website along with the item’s price. Of course, make sure that you mention these are Section 179 savings and not your own discount. Linking to the calculator you used is prudent as well. 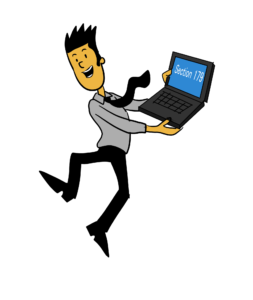 Section 179 is a robust one million dollars for 2018, and it can be a really powerful sales tool if you use it correctly So get calculating, and get selling!